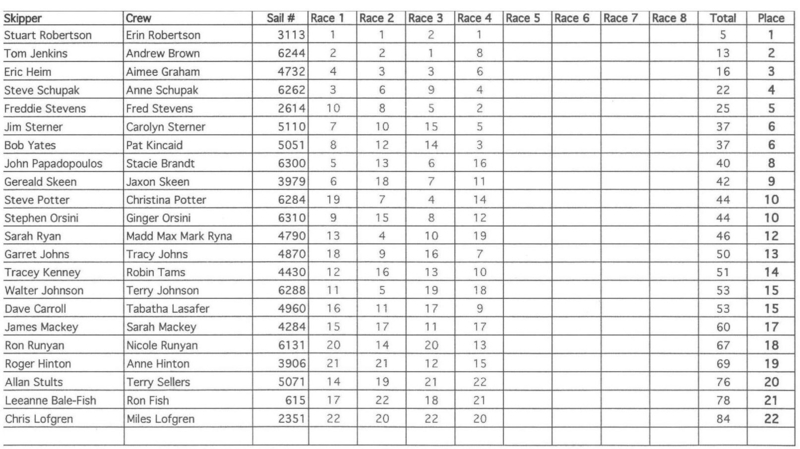 EUGENE, Ore.---What do you suppose Stu Robertson did after winning three of the first four races of the 51st Lido 14 Class Championship on Fern Ridge Lake Tuesday? He went sailing. 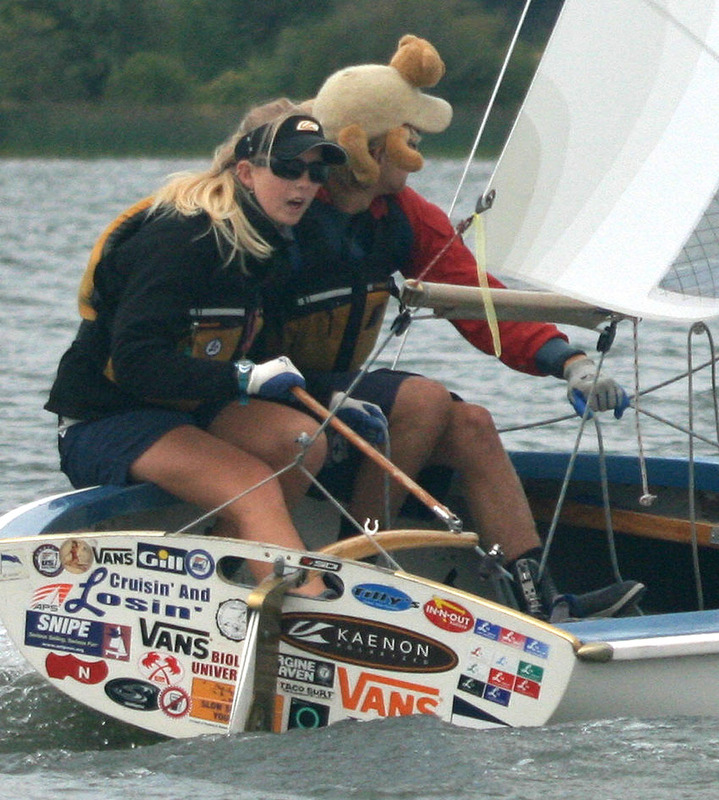 Actually, the Huntington Beach veteran dropped off daughter Erin, his crew, and took Mike Anctil, 14-year-old son of one of his rivals, for a long ride around the lake. It’s uncertain whether Anctil picked up any tips, but the rest of the Gold fleet could use some. 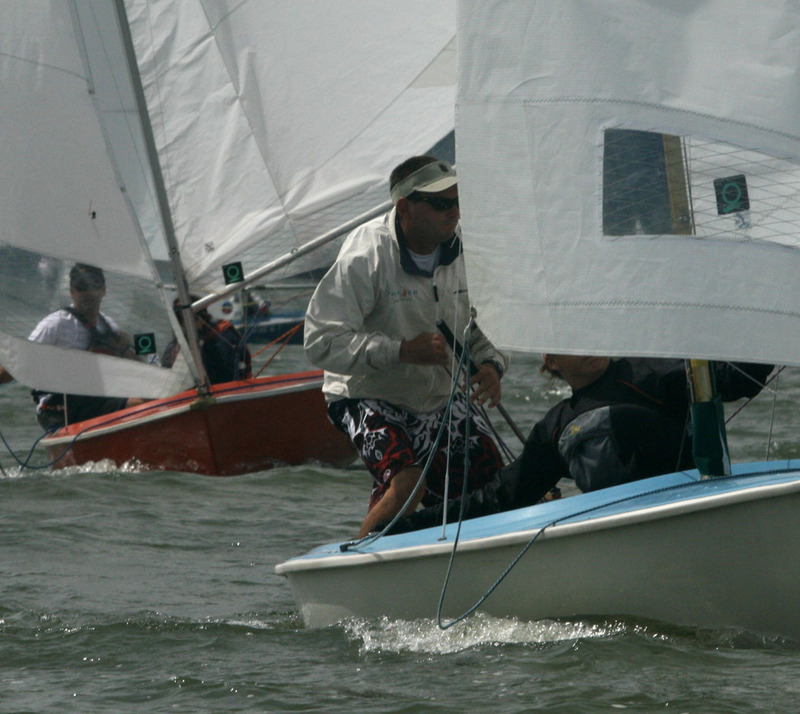 Robertson, who won his first Lido 14 title in 1975 and three more from 2004 through 2006, holds an eight-point lead over Tom Jenkins of Arroyo Grande, Calif. and crew Andrew Brown, with three other boats in reasonable contention going into the last four races Wednesday. It could tighten up when the event's single discard kicks in after the sixth race. "He has another gear the rest of us don't have," said Jenkins, who beat Robertson in this summer's High Sierra Regatta at Huntington Lake. "He's fast, especially downwind." Winds were 7 to 10 knots from the southwest for the mid-day races under heavy clouds interspersed with patches of blue sky. Robertson won both by city blocks, with Jenkins second. 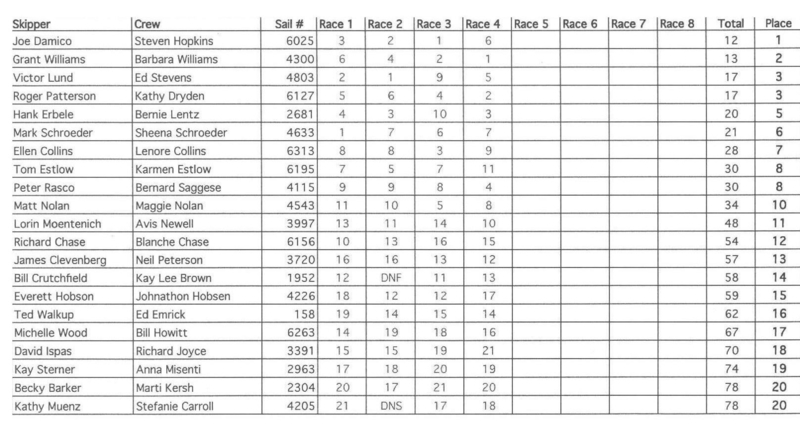 But in light oscillating breeze under a gray sky after the lunch break Jenkins reeled in the leader to win Race 3, and with that threat established the contest developed into a match race in the Race 4 pre-start. "A little bit," Jenkins said. "We had him right where we wanted him. Trouble is, we couldn't keep him there." After the two broke off their duel to go their own ways, Jenkins went the wrong way and slipped back to eighth at the finish. "Hopefully, that will be my throwout," he said. Meanwhile, Eric Heim of Dana Point, Calif. and crew Aimee Graham sailed a quietly steady day of 4-3-3-6 to sit three points behind Jenkins (2-2-1-8), followed by Steve and Anne Schupak of Costa Mesa at 22 points and Freddie and dad Fred Stevens of Long Beach at 25 following a second-place finish in Race 4. 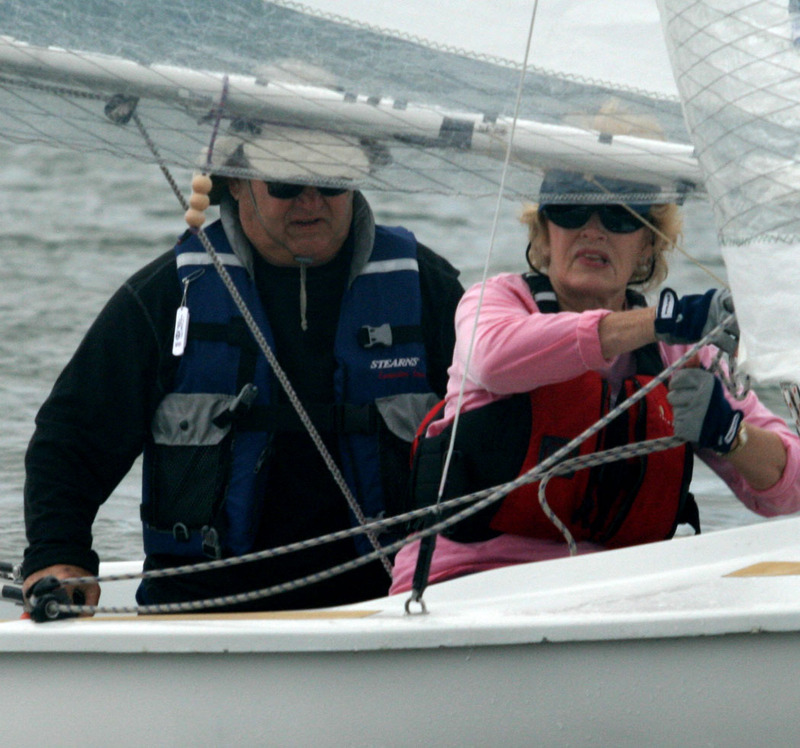 "We were leading half the race," Fred Stevens said. 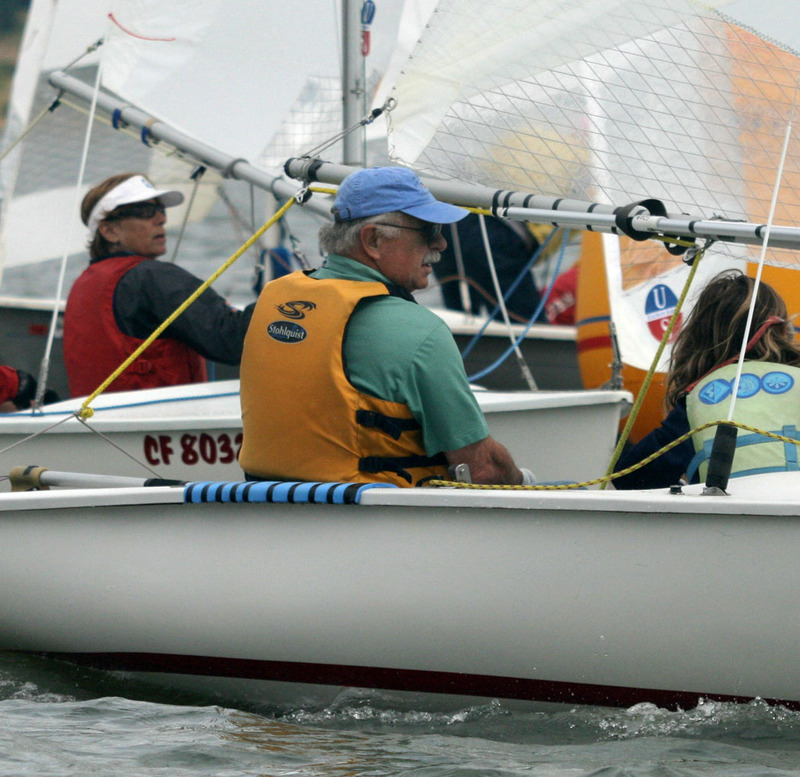 "On the first downwind leg we passed him." But the Robertsons got them back on the final leg. Wednesday could be a different kind of day to test the competitors' versatility. Forecasts were for heavy rain starting Tuesday evening and becoming heavy through the final day. 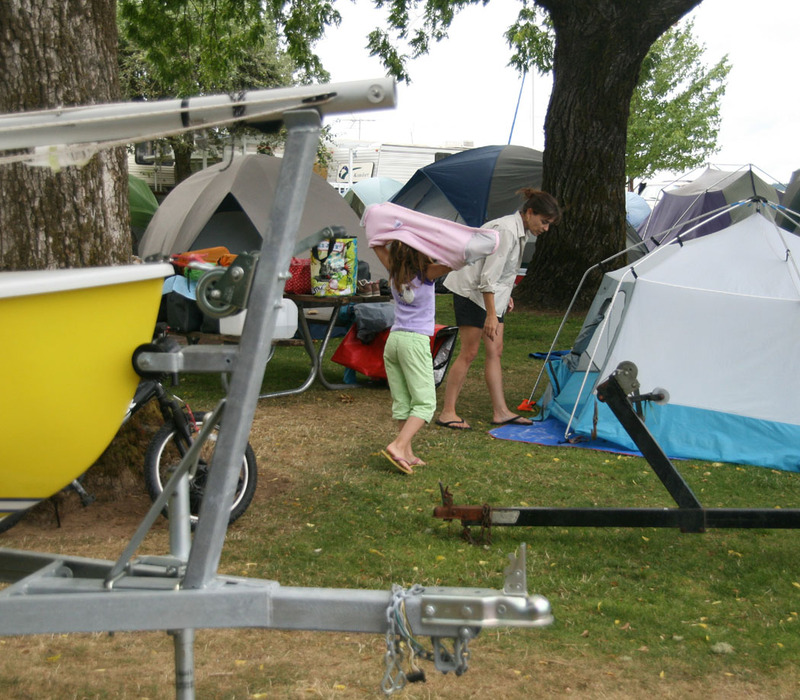 Rich Johnson, principal race officer for the Eugene YC, said, "Tomorrow looks pretty ugly with the storm coming in. That means either a lot of wind or no wind at all." If there was a clue to what was to come, it may have been the V-formations of geese honking high over the lake on their way south to warmer climate.